Drivers are putting themselves and others in danger because they lack a basic understand of the road, according to a survey from an independent road safety charity. A survey of 1000 drivers conducted by IAM RoadSmart found worrying gaps in road knowledge, with half of those questioned being unable to identify a basic roundabout sign. 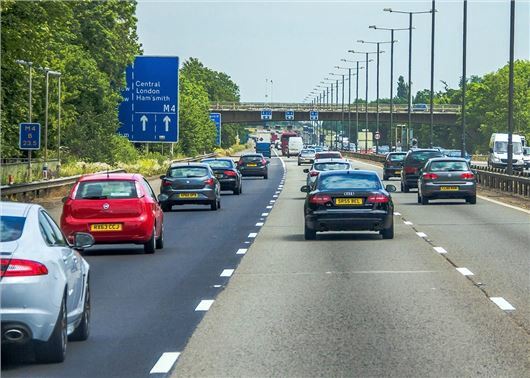 The survey also found that only 43 per cent could correctly recognise the dual carriageway ends sign, with respondents aged between 17 and 39 being the largest group to answer this incorrectly. The results of the research have been labelled as "shocking". Around two-thirds of drivers admitted they had no understanding of the two-second rule; the Highway Code recommends a gap of at least two-seconds between two travelling vehicles in dry conditions. When asked what to do when arriving at a scene of a serious crash, almost half (48 per cent) were unaware that they should warn others of the danger by turning on their hazard lights. Neil Greig, IAM RoadSmart director of policy and research, said: “This is truly shocking. The outcome of the survey brings to light some frightening statistics which demonstrates the need to constantly re-fresh on-road knowledge. While the Highway Code covers many signs, "Know Your Traffic Signs" is a more comprehensive guide. Some signs is inconsistent, a black car under a black motorcycle means "No Motor Vehicles", yet other signs have a diagonal bar to denote "No Right Turn" or whatever. The real worry here is that it appears most drivers over 35 cannot even see properly when behind a wheel never mind knowing road signs !!! Compulsory eye test should be had by all,and a test on road signs on top before drivers get to drive again..Extra revenue made by this must be used to improve our roads.. So ... maybe you also think that all drivers over 60 should have their licence revoked ??? At 71 I have no objection as it would get many young drivers off the road as even though they have taken their test more recently they are often worse at knowing road signs, especially speed limit signs. A lot of youngsters must need eye tests also as they seen to hit a lot of trees and stationery objects, maybe because they can't see the road. Get rid of triple choice of answers and ask them questions like they did us with the old UK driving test with UK signs, we then had to learn the new signs also when they came out. I passed my car test and HGV Class one test both first time as i paid private so could not afford to fail. Test should be tightened up on all parking procedures, understanding all warning lights on car dashboard as they can be critical and should be able to understand how to check and top up oil and fluid levels also things like checking tyre tread depth, they should be able to replace user replaceable light bulbs at road side with full set of bulbs and tools required to be in car at all times. The last time I tried to change a rear light I spent a fruitless hour just trying to take the old one out! I ended up taking the Ford Galaxy to a main dealer, luckily I'm covered by the Motability scheme. "most drivers over 35 cannot even see properly..." How offensive is THAT!! This and many other failings could be resolved by requiring all drivers to retake the road test every 5 years. Airline pilots are tested every 6 months. Yes it would mean more examiners but that's an employment opportunity. And failing would not mean an immediate ban but would trigger compulsory further training with a repeat test. What's even worse is the council round here who seem to put roadsigns up at random and do not know the difference between the slippery surface and series of bends signs. Since the adoption of satnav many minor roads have blue rectangular No Access to HGV's signs - what's wrong with the existing round lorry pictogram with a red border? Having driven a lot on our slowtorways, sorry, motorways recently I am astounded by the overall lack of ability to drive well. The standard is apalling! People simply ignore speed limits, even in average speed monitored areas. I don't think anyone knows what "keep 2 chevrons apart" means, as they are often barely one chevron apart in the 3rd lane. So called professional lorry drivers tailgate anything in front of them by merely inches causing incredible risk of fatal accidents. Where are the police? Why are our roads and driving standards seemingly totally unmonitored and unpoliced? Just the other night a car in front of us only had one tail light working and to the side of us was a police van. Did they stop the offending car to issue a warning? Did they heck! Probably just couldn't be a***d.
I agree that everyone should have to take a test every so often as we all fall into bad habits after many years behind the wheel. "it appears most drivers over 35 cannot even see properly when behind a wheel"
What an appalling generalisation - where does your data to support such a statement come from? It appears almost ALL Motorists fail to observe the posted limits because to them it would interfere with their progress. Should any of these errant Motorists cause someone else to be killed or injured the FIRST thing they will do is LIE about the speed they were travelling at and THAT is a fact. That said however 'You can't teach Pork' and these Motorists will continue in the same stupid fashion until they meet their end..
My company recently sent all their drivers on a one day defensive driving course, where we were all coached in safer driving and spent some time at the wheel with an instructor. We were assessed on our driving technique and given advice on how to drive more safely. I found the exercise very useful and feel that all drivers should spend time with an instructor every few years (regardless of age).